Rack system. 3 Levels. L, width: 610, depth: 500mm, height: 725mm. Max. load: 30kg. Finish: Platform - Nextel Grey, Side part - Matt Colour (black/white). 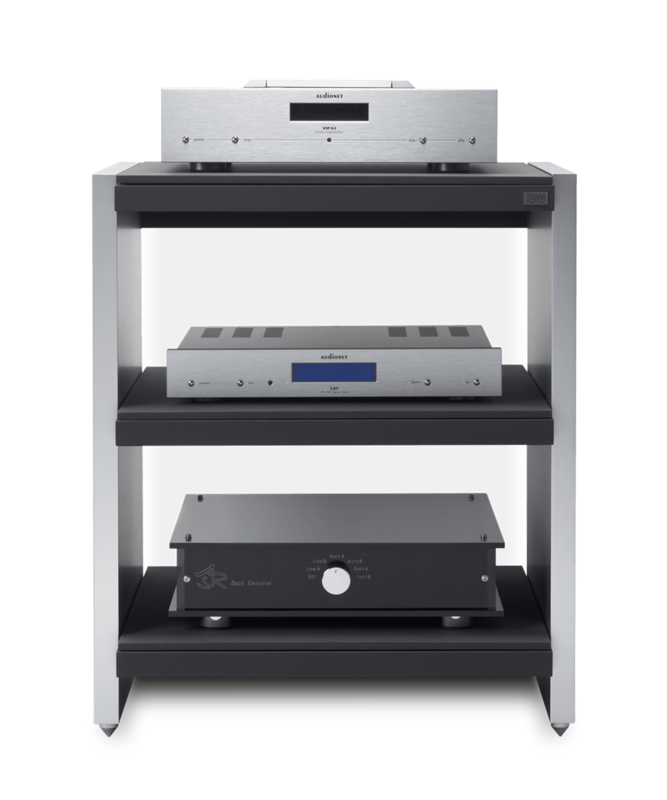 The fact that high-end hi-fi equipment tends to show a highly sensitive response to whatever it is standing on is an open secret. For this reason, we have developed the new “SMD Ambitious” rack system range, based on the highly successful “Silence” equipment base. In doing this, we focussed on isolating the surface on which the equipment stands from vibrations of the shelf beneath, in order to minimise the amount of external vibration affecting the equipment. In this new design, an advanced version of our unique gel base is used. 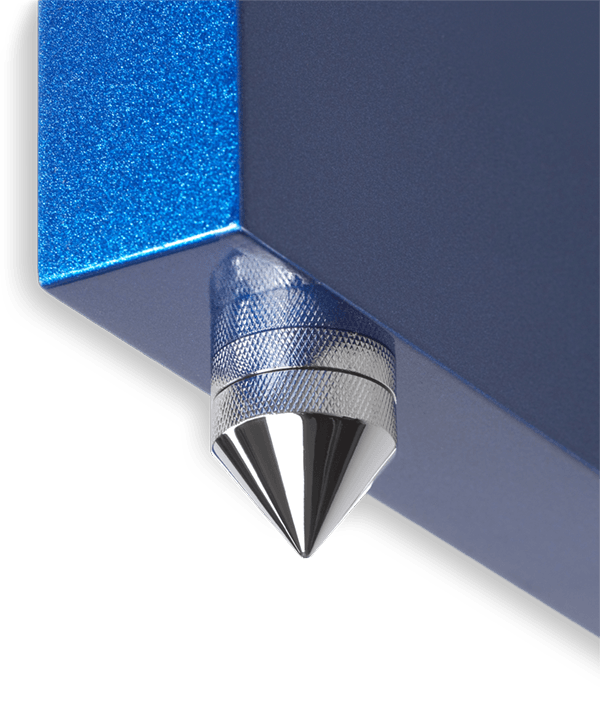 Together with the hand-polished, chromed spikes, which make sure that the equipment is standing properly aligned on a secure base, this guarantees a unique sound experience. Attention has been given not only to the acoustic aspect but also to the visuals. Keeping in line with “form follows function”, the system is integrated into a modern, highly flexible design. With smart painted and wooden surfaces, the rack can be customized to fit in with your existing furniture. Alternatively, it is possible to deliberately choose an eye-catching contrast by using the finishes in the Sparkling range. 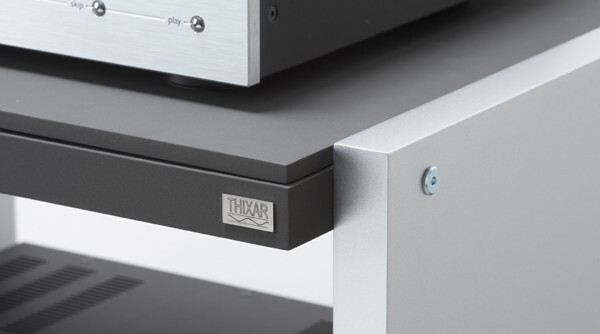 The built-in hi-fi equipment bases are available in the two different sizes M and L. Along with the option of choosing 1 to 4 levels, it is possible to find the right configuration for any system.